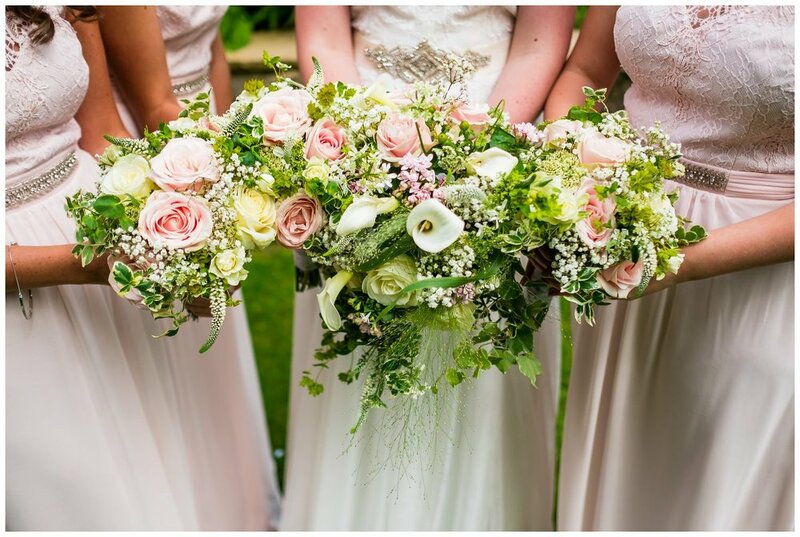 Bridal preparations at Mitton Hall. Photographing Hannah and Ben's big day was a fun affair. Knowing they both used to enjoy the same club night from my youth, I knew this was going to be great party with amazing music. 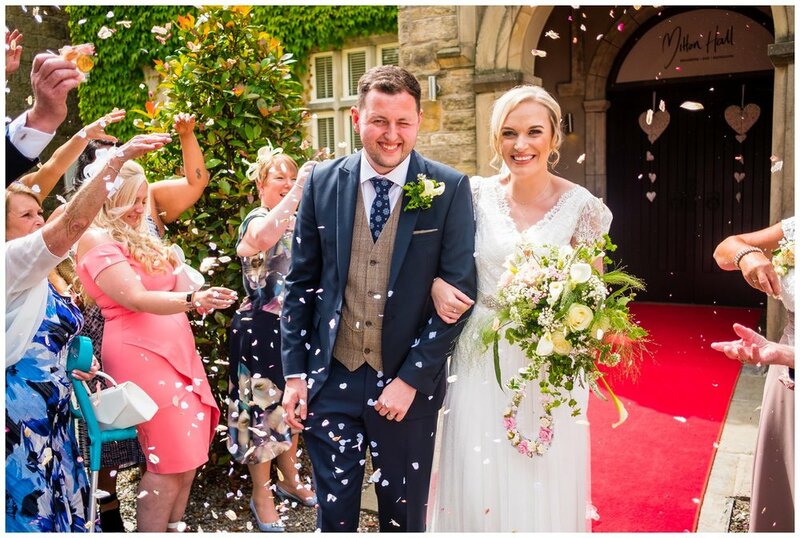 Mitton Hall in Clitheroe, is a memorable place that is perfect for weddings. It's a great mix of the old and new with the main entrance being filled with old character with a huge fireplace to welcome you upon arrival. 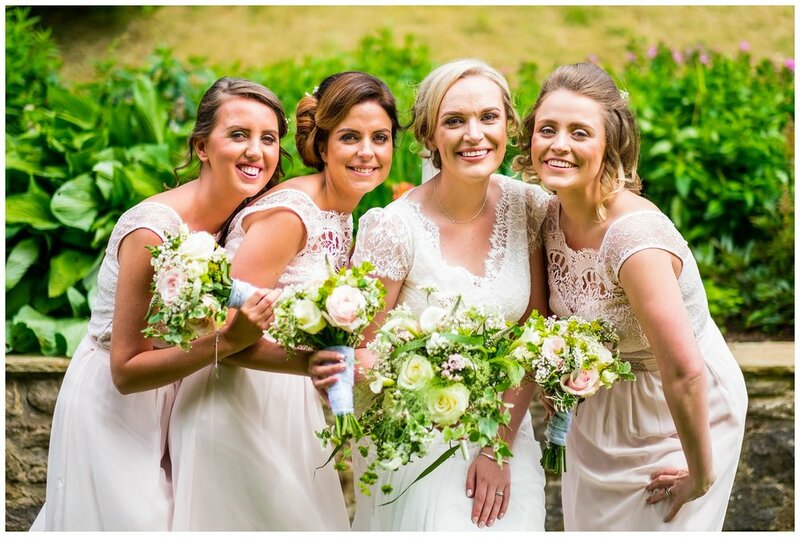 Hannah chose Mitton Hall to get ready on the morning of her wedding with her bridesmaids and both Mums. I was welcomed with smiles as soon as I arrived and I don't think they vanished for the whole morning as the drinks flowed and everyone was in great spirits for the day head. 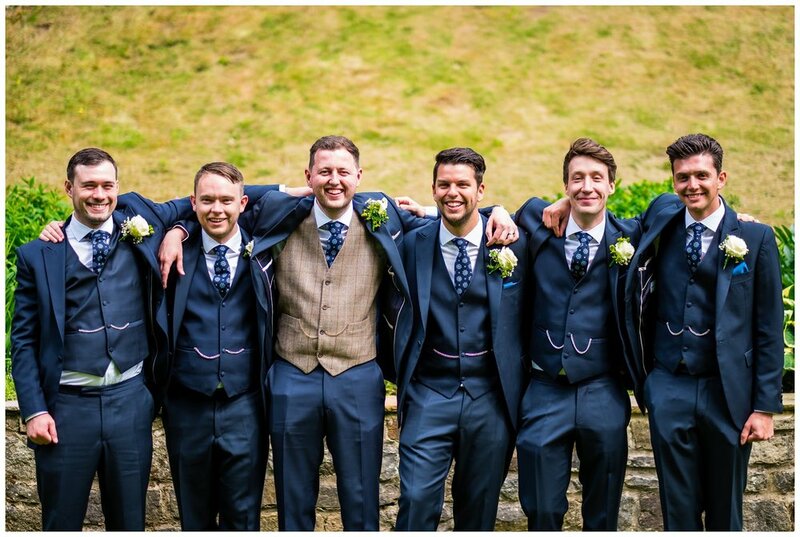 While Hannah was getting ready I quickly dashed off to see the guys arriving and grabbing a pre-wedding drink in the gardens to calm their nerves. Saying 'I do' under the skylight. 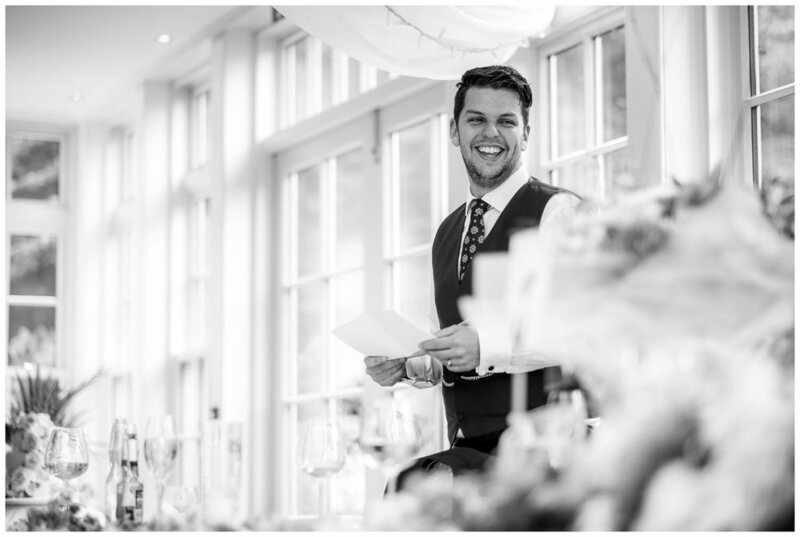 Ben was greeted by a huge smile from Hannah as she made her way down the aisle looking amazing in her wedding dress. 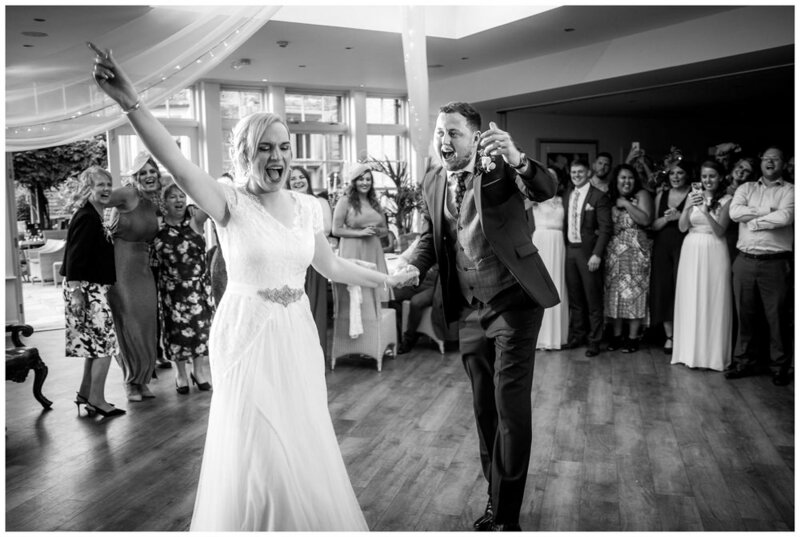 Friends and family looked on as Hannah and Ben exchanged rings in a fantastic ceremony, where yet again, the smiles continued throughout not only from the bride and groom but from their family and friends who cheered them. After a few comedy moments with mixed up lines, the service was soon over and the newly weds made their way into the rear gardens to enjoy their drinks reception. 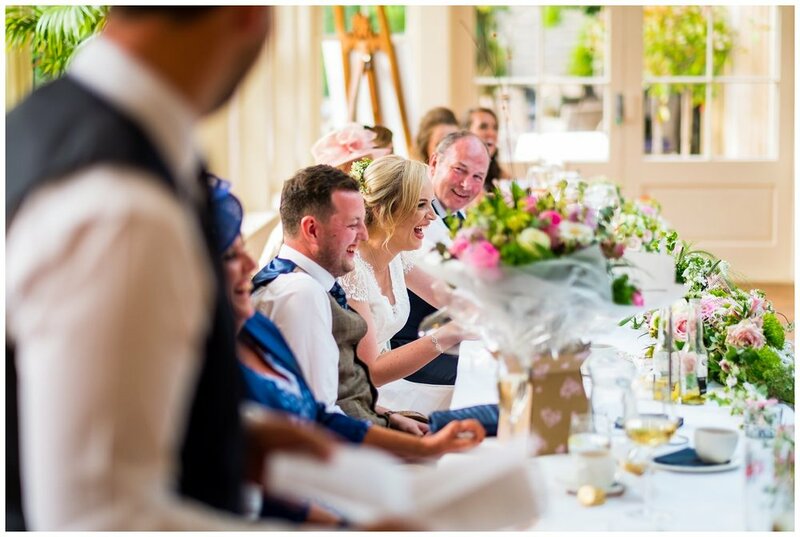 This was the perfect time for me to capture the guests freely enjoying themselves, allowing for some natural photos of their day. Everyone love a good Summer wedding, and I'm no exception. 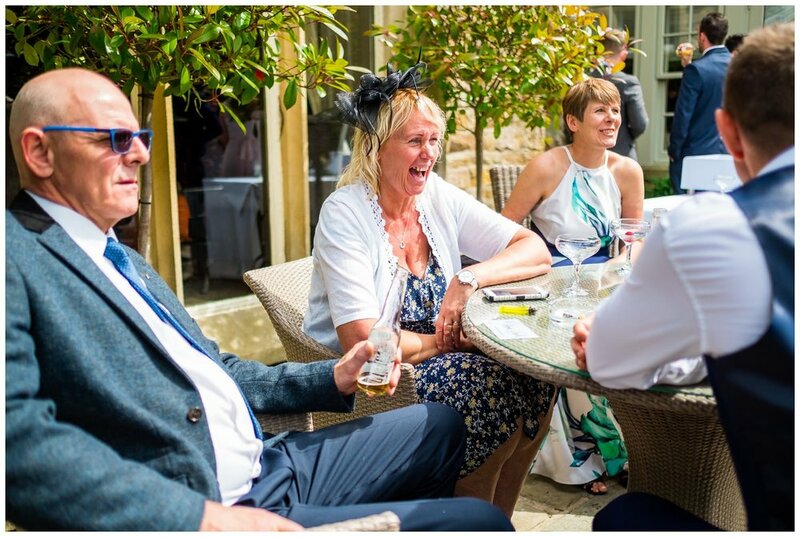 It was lovely to see the sun out on the day and meant the guests could enjoy the grounds. Knowing Chris from DFC was tonights DJ, and knowing that he also went to the same clubnight as myself and the newly weds, I knew that the dance-floor was destined to be filled as constant hits from around 2007 blessed the dance-floor. 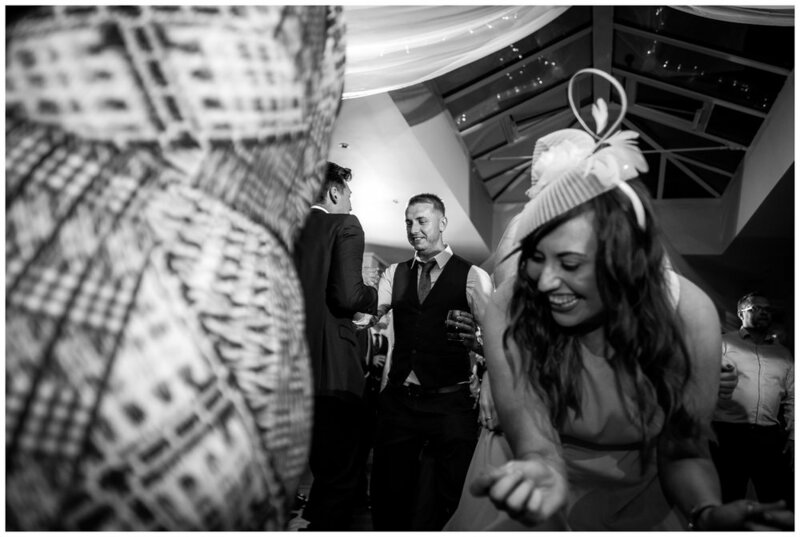 From popular indie tunes from The Kooks and The Killers, through to pop punk classics from bands like Blink 182 and Green Day, the dancing didn't stop and it allowed for some amazing photo opportunities. I don't think I've seen such an array of dance moves! 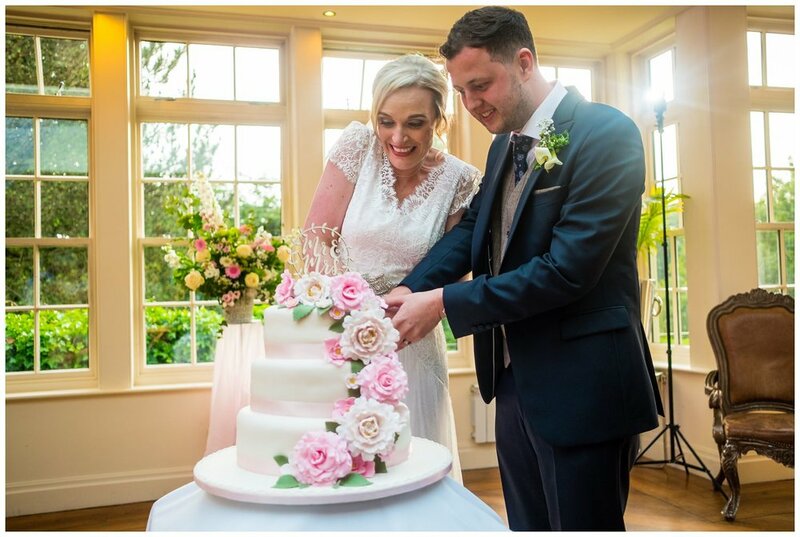 Hannah and Ben's day at Mitton Hall, Lancashire, was a joy from start to finish and I wish them all the best in their lives together. The constant smiles, laughter and dancing made it such a pleasure to be a part of and I can't wait to return to the venue again throughout the year. 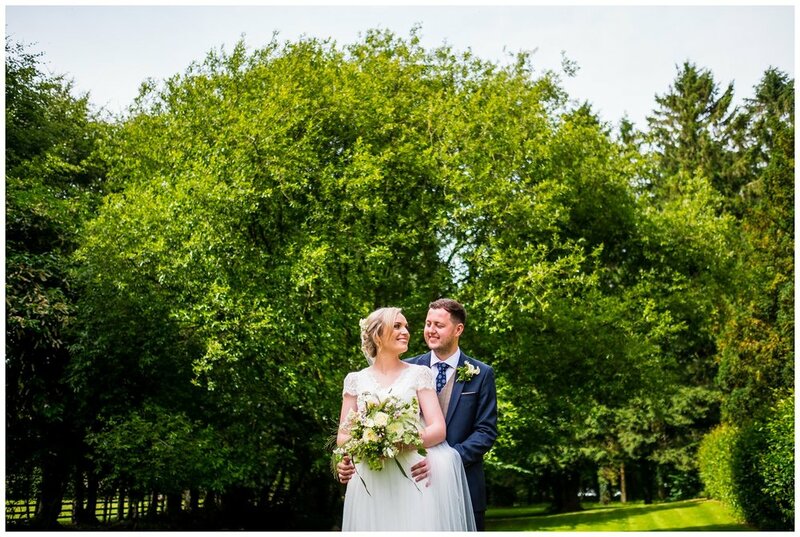 If you're looking for a Mitton Hall Wedding Photographer to capture your wedding then be sure to get in touch, I'd love to hear about your plans! Enjoy more posts below.